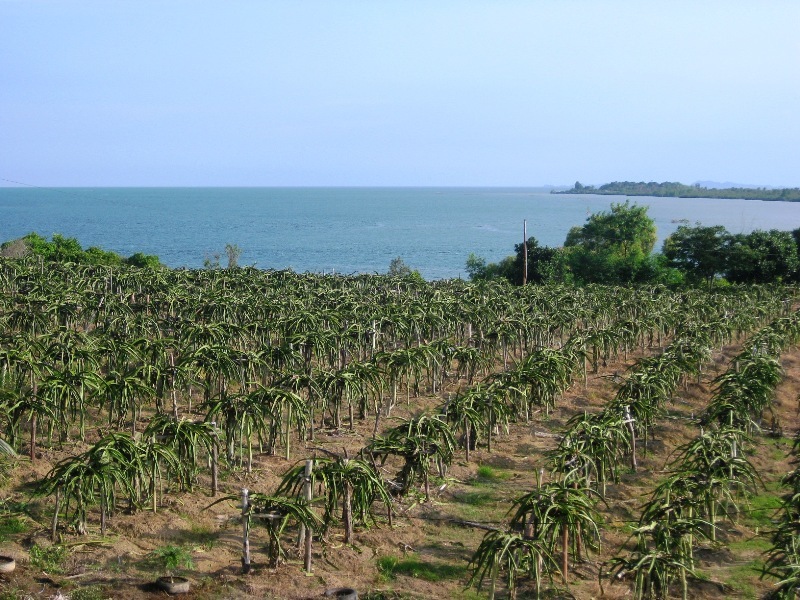 Dragon fruit orchards (Agrowisata Buah Naga ( Kebun Buah Naga ) Batam) in the region covering an area of 105 hectares managed by 36 farmers scattered in several locations. 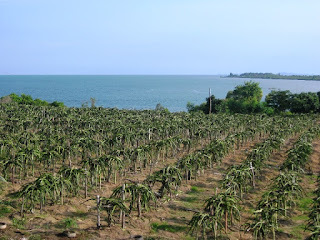 Background scenery sea dragon fruit farm is very beautiful. So you can relax in the cafe dragon fruit plantations to enjoy dragon fruit juice with a background panorama of the beautiful blue sea.